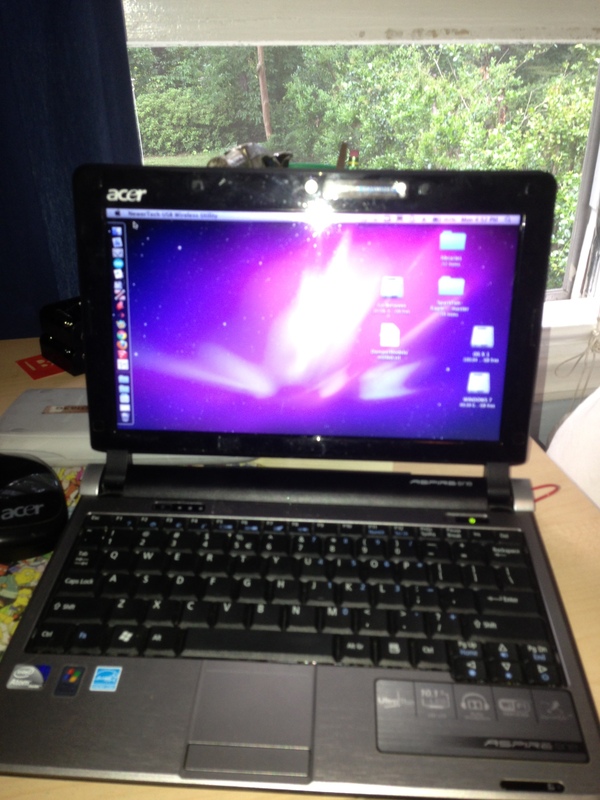 Recently I have been interested in making a Hackintosh out of my netbook. I found a program that almost takes the fun out of having a Hackintosh, it makes it so easy. 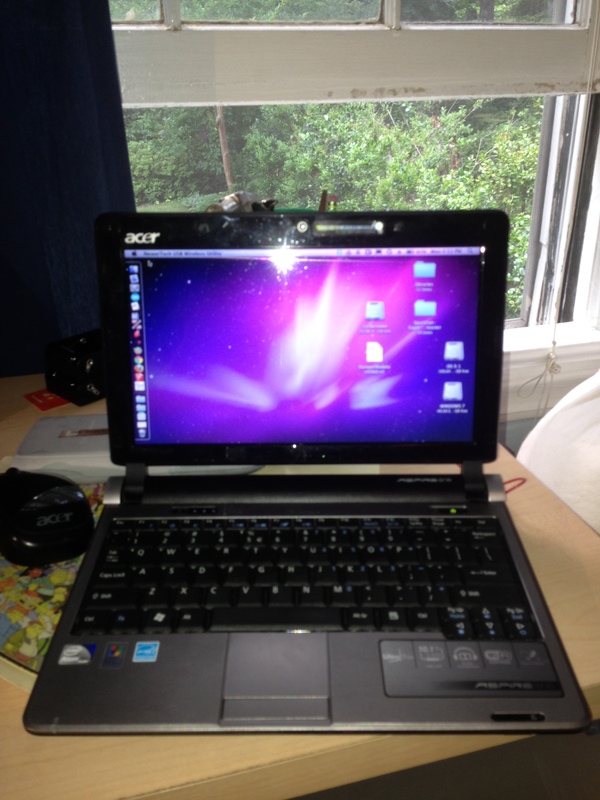 A Hackintosh is when you run OS X on a non-Apple computer. The best part about this is that you do not have to torrent anything. What you do is plug the flash drive into the computer and open up diskutility. Partition the flash drive with 1 partition, GUID table, and Max OS Extended Journaled. Then click on restore and drag the flash drive partition to the destination. Then insert the OS X disk and drag it to source. Click erase and about an hour later you will have an almost ready bootable flash drive. The program to make it bootable is NetbookInstaller 0.8.4 RC1.app.zip . Download it and open the program. Once your flash drive has been restored it will appear in the “Select USB Partition” list in the NetbookInstaller app and then click “Prepare Boot Drive”. And you are done!!! Well pretty much. Plug the flash drive into your Windows machine and turn it on. Hit F2,F12 or whatever it is that brings up the startup menu. Open up the “Boot” menu and change the order so that it boots first from USB. Save the changes and close it up. Depending on your computer it may restart, but then a Window will appear will several option of what to boot from select the “Max OS X Installer” one (the flash drive) and everything will start running. Do not be alarmed if the wheel spins for 5-10 minutes the first time. I am not sure why, but mine did and everything ended up working. 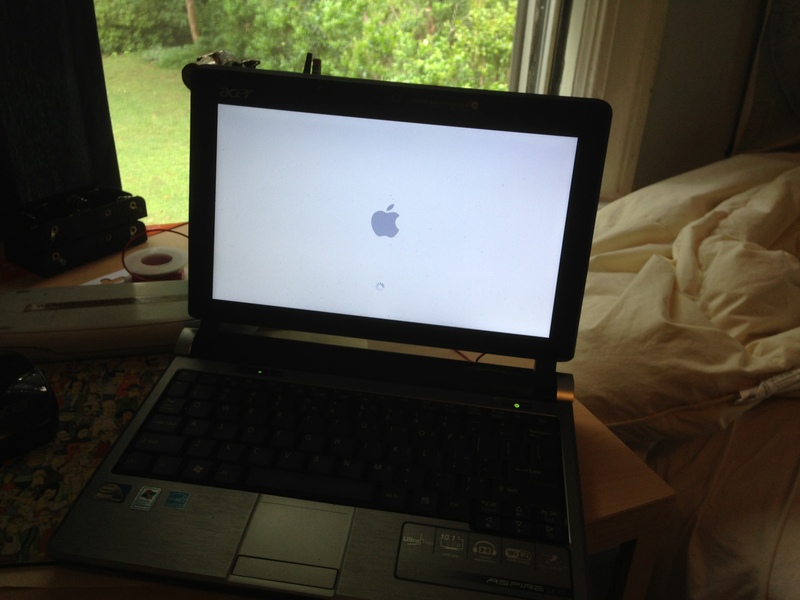 Follow the instructions to set up OS X: name,password…..wifi password……… and enjoy!! !